A personal trainer can make everything easier! It can be hard to know what exercises to chose or how long to do them, so recruit a trainer to help guide you and get the results you want. Personal Training is an hour or less of your busy day where you don't have to think, you can show up and just have fun while getting in a killer workout. One-on-one personal training that is custom tailored to your goals. All skill levels welcome, from weekend warriors to active athletes and the out-of-shapers to grandma. Bring a buddy and get your sweat on. Personal training is that much more fun when you train with a friend. All skill levels welcome. You can schedule online by using the scheduler below, or give us a call if you have questions about Complete Health or any of our services. 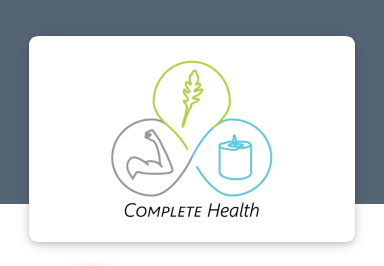 Gift cards never expire and are applicable to any of Complete Health’s services. Complete Health is not responsible for lost gift cards. Complete Health has partnered with CrossFit Windansea, a friendly gym across the street, for all of our Personal Training services. It has excellent equipment, restrooms, an awesome community of fitness enthusiasts and an incredibly supportive owner.